Babies who pile on weights in the early years of their life, first three to be precise, are at higher risk of getting childhood asthma and poor working lungs. But the kids who achieve their ideal weight with time have better lung function than their peers who gain weight quickly, found this new study. For the study, the researchers tracked 4,435 children in Netherlands from birth until they were 10. The team measured their weight and height on a regular basis for the first three years of life. The children’s lung functions were also assessed, and their parents were asked if they had been diagnosed with asthma by the time they reached 10. At the end of the study, it was found that excessive weight gain in the first years of life negatively affected lung function and the kids were at a higher risk of asthma. It was also found that boys were less at risk of asthma if they grew steadily. 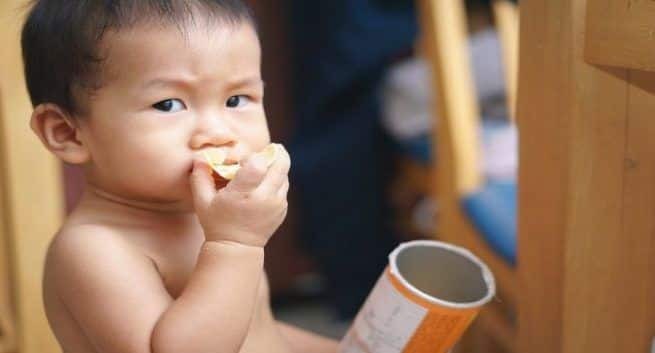 Lead author Associate Research Professor Maribel Casas, of the Barcelona Institute for Global Health, said that the findings showed that the infants with the highest weight gain velocity and body mass index had lower lung function at 10 years of age. She added that they specifically, observed that those children had a lower function related to the smaller airways in relation to their total lung volume. She also noted that the later the children reached their peak body mass index, their lung function was improved, and, in the case of boys, the risk of asthma was also lower. According to her, the results confirmed that early childhood growth played an important role in lung development. Recent studies too have shown that excessive weight gain in the initial years of life can be associated with lower lung function and a higher risk of childhood asthma.